When it comes to big, flagship audio tools, you don’t get a whole lot of sci-fi in your software. That makes Steinberg’s announcements this week more of a change of pace. They aren’t the first to talk about virtual studio sessions, or even gesturally-controlled music. But seeing this as an add-on to Cubase, not just an experimental hack, counts as news. And Cubase users can add on those futuristic capabilities in the form of two new tools. 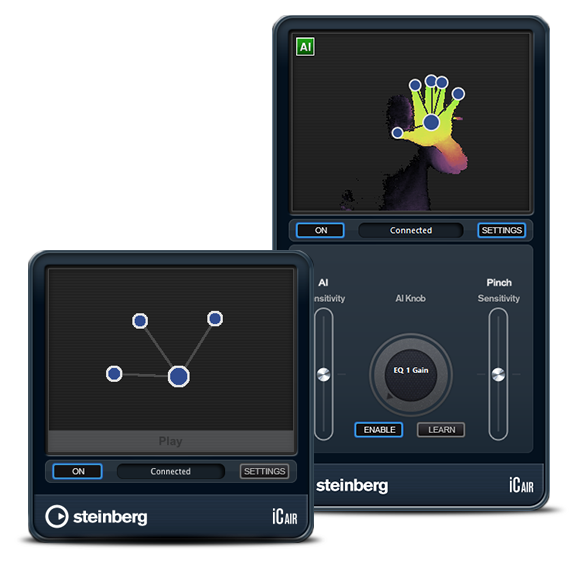 You can fly through Cubase sessions with gestural controls using depth cameras (on Windows) or LEAP Motion (on Windows and Mac). And you can cross time and space by connecting remotely to Cubase projects – soon, even through your mobile device. iC Air is a new add-on, available free, that lets Cubase 7 users (in any edition) control various parameters without touching a controller, simply by using hand gestures in front of a camera or sensor. Regardless of input hardware, you get the same basic capabilities. People aren’t doing the “devil horns” sign in the video just for dramatic flair; that’s actually a discrete gesture. Make circular motions, and you “spin” the transport position in forward or rewind. Swipe horizontally or vertically to switch between tracks. Move your hand left and right with a gesture to control the shuttle. Most impressively, spreading your fingers apart or bringing them close together controls zoom. And the combination of zoom and transport means this could be genuinely useful when recording while, say, holding a guitar. Sadly, giving your computer the middle finger (or two fingers, British folk) will not trigger undo/delete. Yet. Other than that, if you’ve got a licensed copy of Cubase 7, you can give this a go. We’ll be doing that soon in the studio with our LEAP. Now, as for the Intel dev tools, for now, you’re probably out of luck – even if you’re a developer. Developer kits are out of stock, and there’s no sign yet of the commercial Creative product, dubbed the Creative Senze3D, that I could find. And Intel, who years before the Kinect popularized computer vision with their OpenCV toolkit, have a lot of ideas in mind. 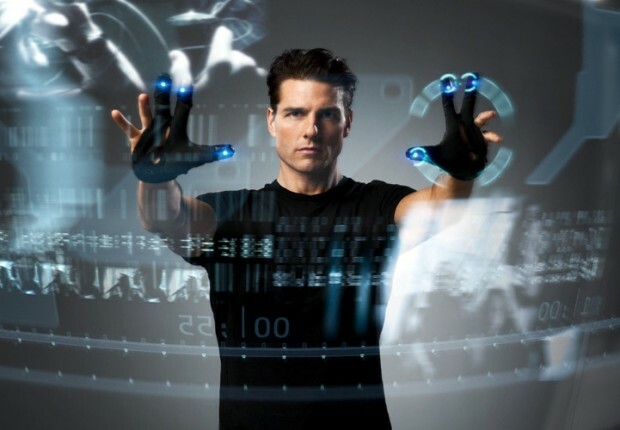 They list speech recognition, individual finger tracking in 3D, facial analysis, augmented reality, and 3D point clouds in their sights. See the SDK page for more info. And if you do have Cubase and LEAP, let us know how this goes. Especially if you can do a good Tom Cruise impersonation.